Get a great price on the Steam Crave Aromamizer Supreme v2 from Vapor DNA. The Aromamizer Supreme v2 is the latest version of one of the most popular RDTAs ever created, the Steam Crave Aromamizer. I remember when the first one came out and people wouldn’t stop talking about how great it was, but I never actually got to try it out for myself. 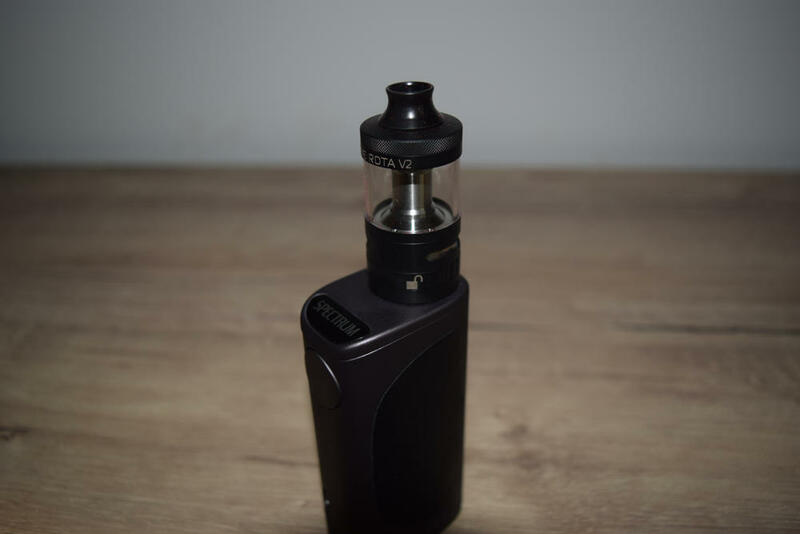 Steam Crave have come out with several version of their popular atomizer ever since, each one improving on the previous, and the Aromamizer Supreme v2 is the latest but, I’m pretty sure, not the last. 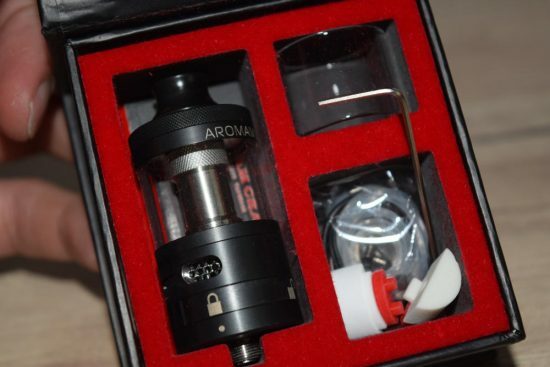 The Aromamizer Supreme v2 comes in the standard Steam Crave packaging a black cardboard box with a clear window that offers a view of the tank inside. It’s not the most impressive packaging I’ve seen, but it’s actually better than most. The box is solid, has a magnetic lid and doesn’t take up a lot of space. Inside the box, we have the Aromamizer RDTA, a spare glass tube, a bag of spare parts (o-rings and grub screws for the build-deck), a couple of ceramic plugs for single coil vaping, an Allen key, and a user manual. It’s a decent starter kit, I love that they included a spare glass, in case you accidentally break it, but I was surprised to see that the packaging doesn’t include any coils. That’s not a big if you already have some around the house, but if you don’t you basically can’t use this RDTA. It’s not a huge con, but surely adding a couple of coils wouldn’t have been too expensive. 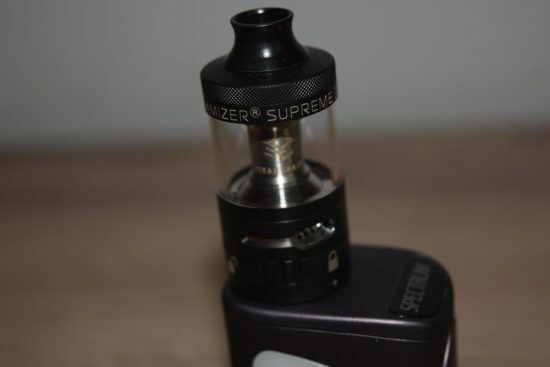 The Steam Crave Aromamizer Supreme v2 is 25 mm in diameter, about 45 mm long – from the base of the drip tip to the bottom of the base – and comes in three color options: stainless steel, matte black and gun metal black. I received the matte black version for this review, but from what I can tell, the gun metal one is by far the best looking of the three. 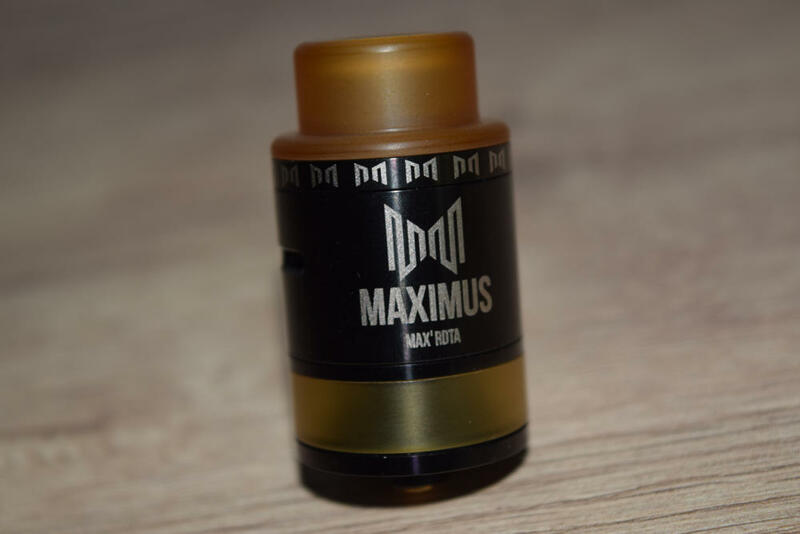 If you think the Aromamizer Supreme v2 looks very familiar, that’s probably because it’s basically a smaller version of the 30 mm Aromamizer Plus that came out at the beginning of 2017. 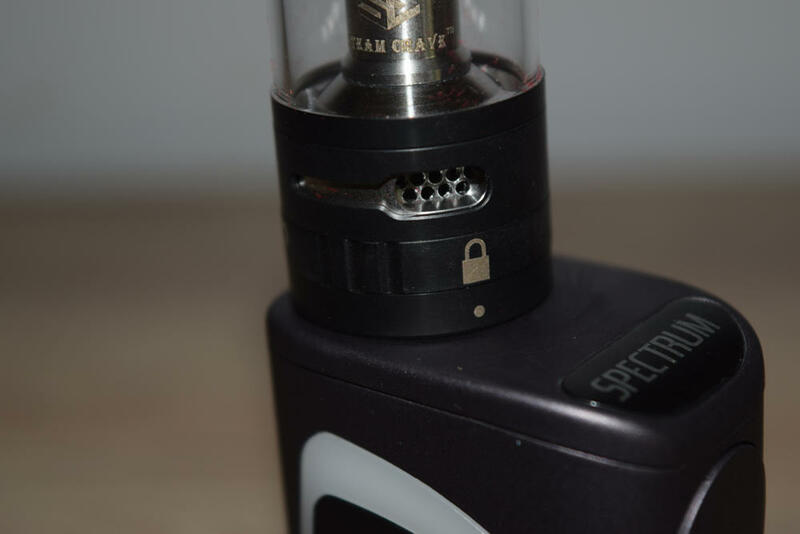 It got some very positive review, but it was just too big for some people, so Steam Crave decided to just cut it down to size and make it more appealing to average vapers. 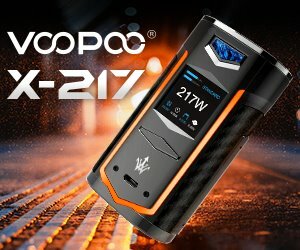 So apart from a reduced e-liquid capacity of 5 ml, the Supreme v2 is basically just a smaller, more portable Aromamizer Plus. 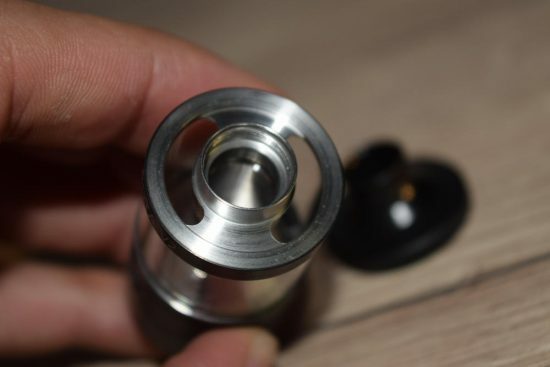 Starting from the top, we have one of the poorest 510 drip tips that I have ever seen. It’s short, flimsy and doesn’t even feature any o-rings. It just sticks in to the metallic top cap of the tank and is only kept in place by friction. Never mind that an 810-style drip tip would have been much more appropriate these days, but this isn’t even a decent 510. If you have any other 510 drip tip lying around, I suggest you use it instead of the joke that Steam Crave came up with. The top cap of the Supreme v2 RDTA has some knurling to make it easier to twist on and off, in order to reach the fill ports. These are two large holes that allow you to pour juice into the tank. They are wide enough to fit pretty much any dropper or unicorn bottle you’re using, which I consider a big plus. Then we have the glass tube and the metal chimney connecting the atomization chamber to the top cap. The chimney is considerably shorter and wider that on the version one, which should improve the flavor of the tank quite a bit. 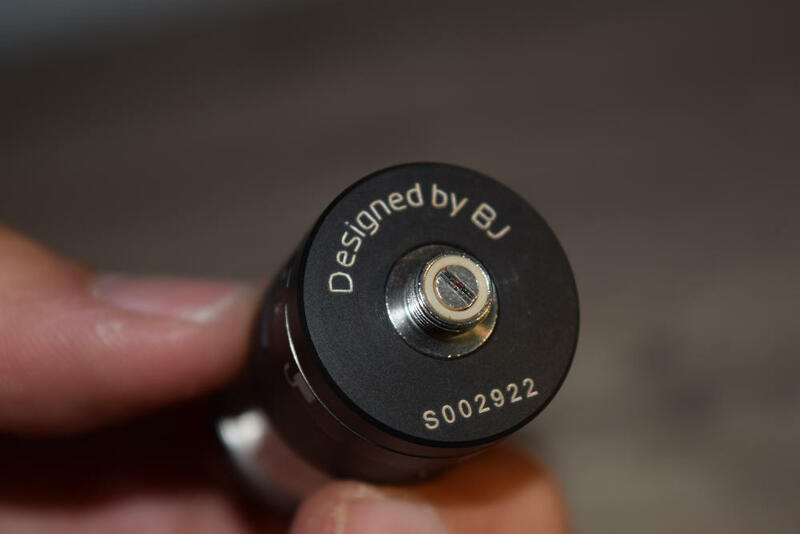 On the base, we have the adjustable airflow control ring, with two large air slots on each side of the build deck, and underneath that we have the juice flow control, which allows you to adjust the amount of e-liquid flowing down from the tank into the atomization chamber. The juice flow control ring has locked and unlocked symbols so you never get confused, and stoppers on each side. The build deck of thew Aromamizer Supreme v2 is not the most impressive I’ve ever seen. For one thing, it’s a lot smaller than most RDTA decks I’ve used, like the iJoy Limitless RDTA, for example, so you have to make sure that your coils don’t stick out from the post too much, or you won’t be able to screw the tank back together. However, if you do that, you’ll be able to use large diameter coils without any issues. 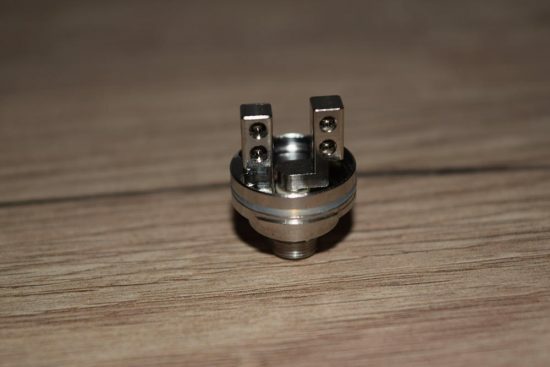 Another thing about the build deck, which you can pop off from the base just by applying pressure to the connection pin, is that you have to align it properly with the two airflow slots, otherwise the air won’t be hitting the coils directly. 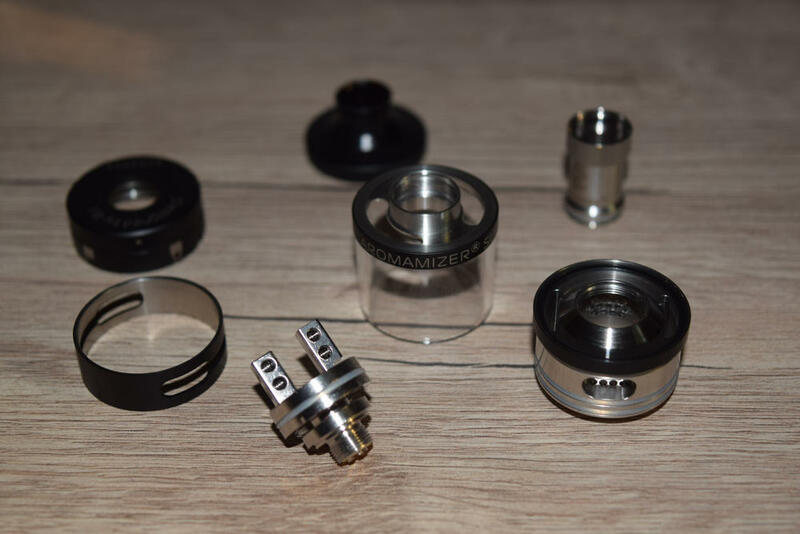 An interesting feature of the Aromamizer Supreme v2 is that you can use it in RDA mode as well, by simply removing the glass section and metallic chimney, and screwing the top cap directly on to the base of the tank. It won’t be the best RDA money can buy, but it’s definitely not bad, and for lack of anything better, it gets the job done. The first thing I recommend after unpacking the Aromamizer Supreme v2 is taking it apart and giving all the parts a good wash. The chimney, airflow control ring and juice flow control ring are all detachable as well, so putting this thing back together can seem a bit challenging if you’re a beginner, but it’s got a very intuitive design so you shouldn’t have any issues. Mounting the coils on the build deck is extremely easy, thanks to the classic Velocity-style design, with four post holes and grub screws that come in from the sides. You just insert them one at ta time, screw them tightly into place, cut off the leads and you’re good to go. Just remember to position them as closely to the posts as possible, so they don’t overhang over the edge of the base. Steam Crave also offers a postless deck as a separate purchase, but i didn’t receive it for this review, so I can’t comment too much on how good and easy to build on it is. If you’re into postless build-decks, and have money to spend, it could be something worth buying. Wicking is probably the most important thing when it comes to RDTAs in general. but even more so on the Steam Crave Aromamizer Supreme v2. Here’s the thing, the build deck has four small wicking slots underneath the coils, and covering them with two much cotton will prevent the juice from coming into the atomization chamber. 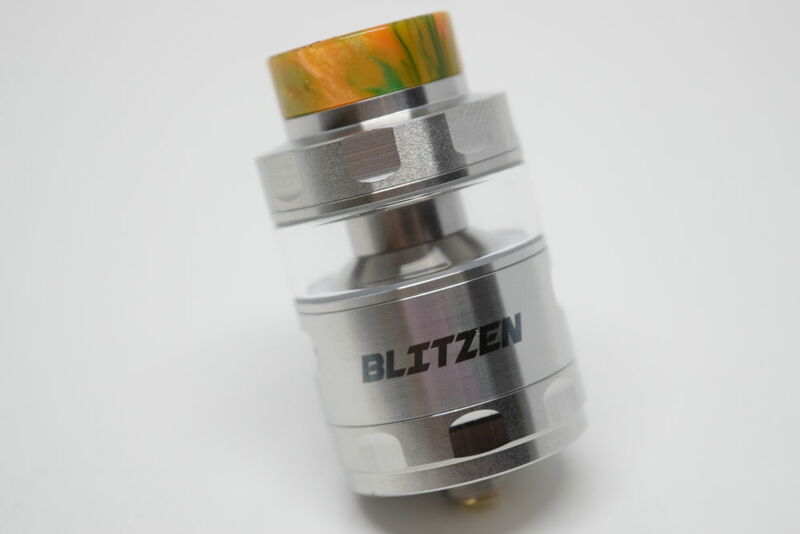 It flows through the juice holes on the bottom of the tank, through channels on the sides of the base and comes out from the bottom, underneath the coils. Or at least that’s how it’s supposed to work, anyway. But if you just jam loads of cotton over those little holes, it will prevent the e-liquid from saturating the wick properly, and you’ll experience dry hits. I’ve used similar RDTAs before, so I thought I had the proper way to wick the Aromamizer figured out, but I only got it right on the second try. I had to cut the cotton leads to the point where they just slightly covered the wicking holes, to prevent the juice from flooding the deck, whereas the first time I had cut them a bit longer. It was ok for a draw or two, but when chain vaping, the cotton just wasn’t wicking efficiently enough, and I would start to get a dry cotton taste, not burnt, but not enjoyable, either. So I definitely recommend thinning out the leads with some tweezers, and just having them sit over the wicking holes, instead of plugging them off completely. Provided you wick it correctly, the Steam Crave Aromamizer Supreme is definitely worthy of its name. The aroma or flavor you get from it is fantastic, especially if you leave the juice flow slots open completely while vaping, so that enough juice reaches the wicks. that’s especially important if you’re using a low resistance build (<0.2Ω), because this tank goes through a lot of e-liquid very fast. You’re essentially paying for the strong flavor in juice, but in my opinion, it’s worth it. Flavor production is not too bad either, but , again, it depends a lot on what coils you are using and how well you wick them. My build wasn’t particularly impressive – 2 fused Claptons with a combined resistance of around 0.18Ω, but I was satisfied with the amount of vapor they produced. I’m sure it can be even better, but this was more than enough for me. The one thing I found slightly disappointing was the 510 drip tip. Although I changed it with a better one, I still missed the wide bore 810 tip I have grown to love in the last few months. Everyone is switching to them, and for good reason, as they just suit sub-ohm tanks much better, but Steam Crave apparently didn’t get the memo. Apart from this, though, testing the Supreme v2 was definitely an enjoyable experience. The Supreme v2 may very well be the best Steam Crave Aromamizer to date. 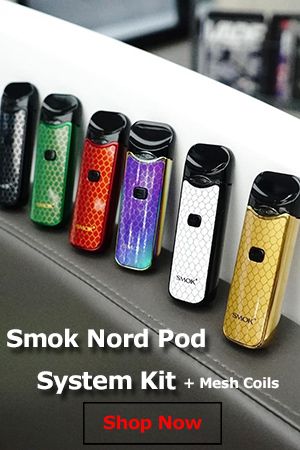 It puts out the same great flavor that made it so popular when the first version came out, as well as a satisfying amount of vapor, and greatly improves on the design of previous iterations. 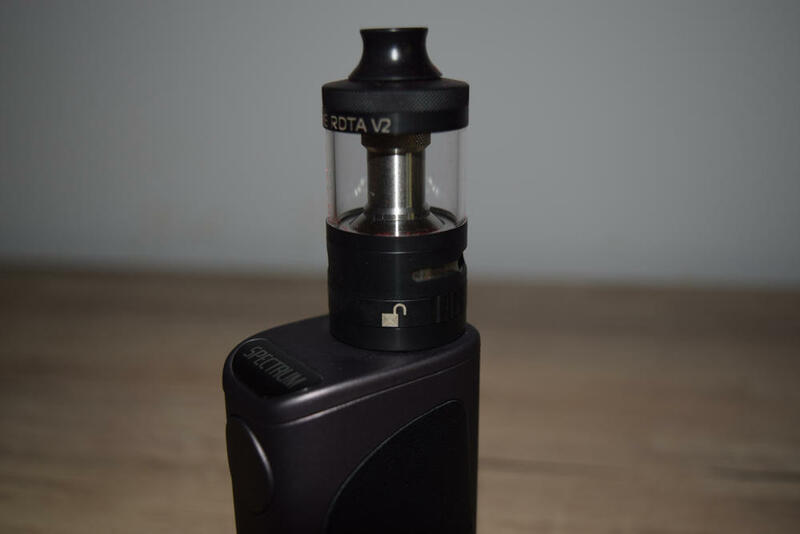 It does have some issues, like the cheap 510 drip tip, small build deck, and juice consumption, but they are easy to overlook, when you consider just how well it vapes. If you’re looking for a flavor atomizer that doesn’t compromise too much on vapor production, you should definitely consider the Aromamizer Supreme v2. You can get the Steam Crave Aromamizer Supreme v2 at the discounted price of $27.99, from Gearbest.com.